Road striping is imperative to the way our traffic and transport system functions. Roads must be lined accurately and marked clearly to ensure the safety of its travelers and relined or marked as the former begins to fade. Ensure your road’s safety with road striping in Waco and Temple, TX provided by the professionals at eSquared Asphalt Maintenance. Call our consultants at 254-716-8685 today to schedule your initial consultation for this type of painting service. 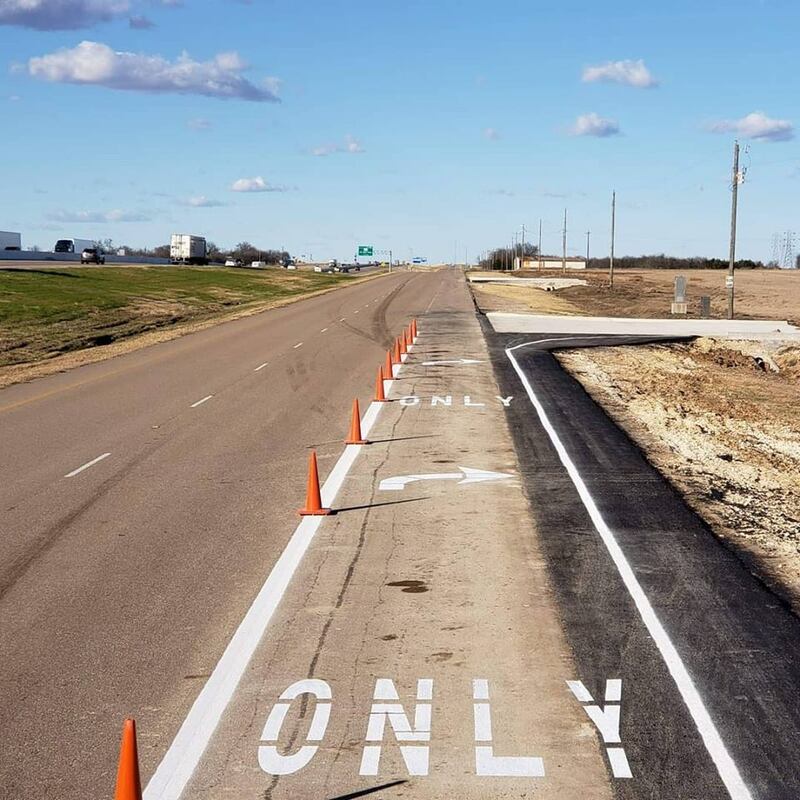 Striping services can serve multiple purposes for both public and private environments such as public roads and highways, vehicular racetracks, private roads and long drives, and even parks and zoos. Each type of roadway has an ideal paint and application method that will provide advantages and features to benefit all of its traffic. If you need road striping in Waco and Temple, TX, call us today! This is the most cost-effective painting solution and can be used on any surface. This paint is available in multiple colors and can be made to be reflective for nighttime or rainy day traffic. This paint is resistant to high traffic areas but will need to be replaced sooner than some other types. Solvent-based paint is an oil-based formula that is durable and can come in multiple colors. This type of paint is ideal in cold weather because it doesn’t break down as easily as other paints. However, it is not advised for environments with heavy traffic. While a more costly option, reflective paint is ideal for night traffic because it presents bright, clear lines and markings by reflecting light through tiny glass beads. This paint is great for heavy traffic areas and can last for years when applied properly. 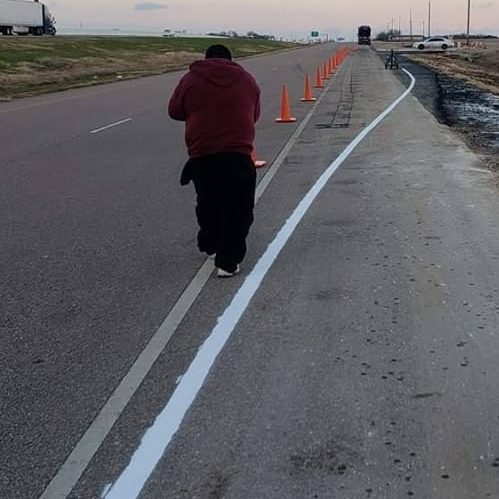 If you need reflective paint for your road striping in Waco and Temple, TX give us a call! With road painting, comes many state and local guidelines and ordinances. Our professionals are up to date on all codes, guidelines, and requirements to ensure that your road painting doesn’t cost you in fines and other penalties. Our trained and experienced professionals can assess your project and discuss all of your painting options with you such as product benefits, cost, and lifespan, as well as explain procedures, regulations, and timelines so that you are never out of the loop. We can complete your job flawlessly to provide a finished product that you can be proud of. Road striping is a big job that should be handled by experienced professionals that are knowledgeable on guidelines and code requirements. When you’re looking for professional road striping in Waco and Temple, TX that you can count on, call our experts at 254-716-8685 to schedule your evaluation. Updated on March 21, 2019 at 1:55 pm by eSquared Asphalt Maintenance.